If you’re like me, you worried that Skinny Jonah Hill would never be as amusing as Fat Jonah Hill, particularly Fat Afro-ed Jonah Hill. 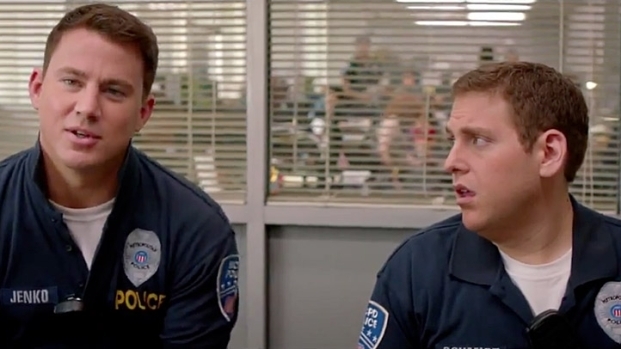 But America proved me wrong this weekend, flocking to theaters to see Skinny Jonah in “21 Jump Street” thanks to the army of critics who cried out in unison, “Hey! This is a shockingly tolerable movie!” Let’s take a look at the returns (chart via Box Office Mojo). Say goodbye to “The Artist,” because it’ll finally fall below our $1 million threshold next week. I WILL NOT MISS YOU. Elsewhere, Will Ferrell’s new movie was too low of a grosser to make our list (it was also dismissed by many critics as less a movie than a goofy stunt). I argue that Ferrell’s movie easily could have been a higher grosser if it had gotten a major marketing push. Have you SEEN Genesis Rodriguez? She is not unattractive. Anyway, prepare for this list to be blown apart next week, when “The Hunger Games” finally drops. It’s already tracking well with critics. You’re gonna be seeing a whole lotta Katniss Everdeen for the rest of the year.